Anyone who uses toxic chemicals on their roses is foolish. 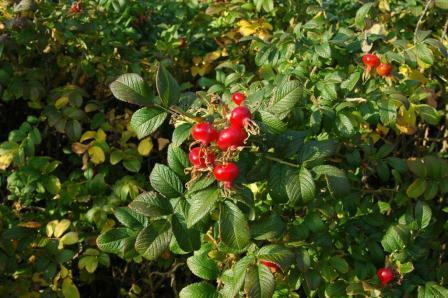 Rose hips are also used to feed some pets and horses. The dried and powdered form can be fed at 1 tablespoon per day to improve coat condition and new hoof growth. Rose hips are used in many food preparations and for colds and flues. The fine hairs inside rose hips are used as itching powder. Dried rose hips are also sold for primitive crafts and are scented with essential oils to be used as a potpourri room air freshener. In World War II, the people of Britain gathered wild-grown rose hips and made a Vitamin C syrup for children. This was because German submarines were sinking many commercial ships and citrus fruits from the tropics were very difficult to import. If you have any questions regarding this newsletter or any other topic, join me for my radio show heard in Dallas/Fort Worth on Saturday at 11am and across the country on Sunday from 8 - 11am (CST). Radio. Find more information on living a more natural organic lifestyle at DirtDoctor.com. In the meantime, be thinking about a name for the Champion Pecan in Weatherford. 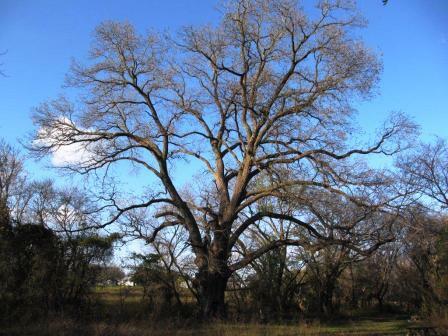 Read more articles on the Pecan Tree: Champion Pecan Tree and Pecan Research on the Champion Pecan. Here are the preliminary details for the “Name the Tree Contest".